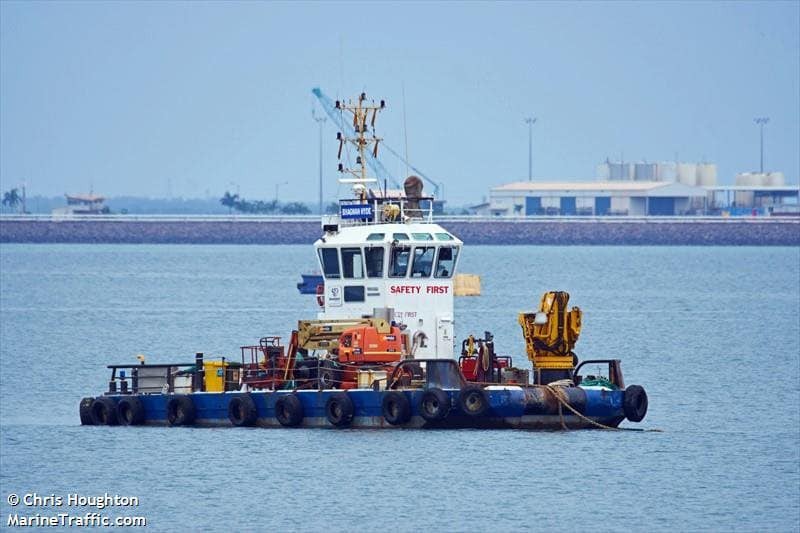 Bhagwan Marine were contracted by Neuman Contractors, a civil works and dredging company, to assist with marine and dredging services for the Port of Darwin at Cullen Bay, Northern Territory. The purpose of dredging activities was to increase the under-keel clearance to the ferry service and pleasure craft that operate in and out of Cullen Bay Marina. The Bhagwan Hyde multi-cat was utilised to deploy and recover anchors for the dredge barge and position the floating dredging hose (up to 700m in length at some stages). An additional Bhagwan vessel, the Western Constructor was used to transport the in-line pump for the dredge hose. Once dredging was deemed complete, Bhagwan had to verify to the client that appropriate quantity of dredging spoil had been shifted. Assisting with dredging activities and hydrographic survey services was a perfect opportunity for Bhagwan to showcase our combined services of Marine and Subsea. Bhagwan had to verify the under-keel clearance within the harbor to the highest order of hydrographic standards, known as IHO “Special Order” (International Hydrographic Organization). The hydrographic survey services were subcontracted to EGS Survey and were performed from the Bhagwan Warrigal. Bhagwan Marine managed the pre-survey, as-surveys and critically important post bathymetric surveys to International Hydrographic Special-Order standard.